so said ellie: No, really?? 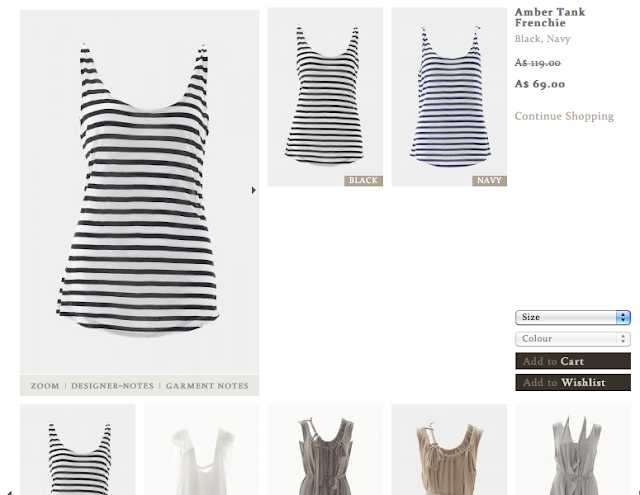 Sixty nine dollars for a singlet. Reduced from $120 AUD. AHHAHAHAHHAHAHAHAHAHhahahammnhghrhahr, are these people on crack?!?? I am almost speechless, except to say this: ... Kmart.